Description: This patch makes Reznor's bridge break twice as fast. This patch is too simple and wastes freespace for an effect that can be achieved by changing $03D74E to $20 and $03D739 to $1E. Description: These files will apply HDMA effects on a per level basis with the usage of UberASM. HDMA Bug Fixes 4.0 is also inside! Made obsolete by Effect Tool, which generates a wider set of HDMA effects. Description: This patch makes all P-Switches blue. Can be changed to make them gray instead. No credit nor freespace needed. It's a double hex-edit; you can get the same effect by changing both $018454 and $028A30 to A9 00 (for a silver POW) or A9 01 (for a blue POW). Description: This patch makes Koopas turn around instantly instead of facing the camera for a little while. No credit needed. It's a simple hex edit; refer to this post. Description: This patch will give you an RPG styled Overworld. *No beep sound upon walking over a Level Tile. *Mario stays in direction that he walks. 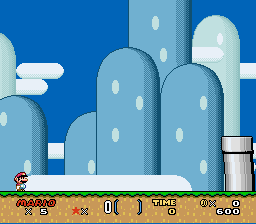 How to use: Paste invisible level tiles (for example, 0x80) on the overworld where you want Mario to be able to walk on. Set the level tile to some unused level like 0x80. Open the level tile settings dialog, then enable the following: Enable Up/Down/Left/Right, Level has been passed, no entry if level passed. Make sure you select a new file of course. Description: This patch fixes the bug where the ropes will keep carrying you for a while if you get onto the ground while climbing on them. Note that you'll probably want to apply the other ropefix patch too. Combined this patch with the other Rope Fix, found here. Description: This patch fixes the POW music when applied with SMB3 music patch. This patch was made to work in conjunction to another patch already removed. In addition to be a simple hex edit, there are enough removal reasons. Description: Fixed a minor bug in the included jump sound effect. This patch moves some of the sound effects in $1DFA to another channel, which frees up channel 7, giving you 6 free channels for music instead of 5. Requires the -se function of Addmusic 4.05. Description: This patch moves all secondary level entrances to levels 000 or 100. Works well together with the Empty SMW - SMW Scratch ROM Patch. Also has an IPS included. They're redundant because the jump SFX remapper is already part of AMK and remove all secondary entrances can be easily done with Lunar Magic and also is part of Super SMW Scratch ROM. Description: This patch will prevent Mario from getting multiple 1-Ups from Star Power. This patch is misleading. Not only does it prevent multiple 1ups (as the description says), but it also prevents any sort of star combo (all enemies just give 200 points when star-killed). It also consists mostly of db hex-edits which are mostly uncommented, making it annoying to modify to restore the combo. Try this modified patch instead (no credit needed). The hex edit also is very complicated in the first place and could have been shortened even as a hex edit. Description: This patch will let you choose how fast the player can walk and run, and how fast he accelerates. Description: A patch set up for easily increasing or decreasing jump height. Most values chosen for the declared variable should work with the castle cutscenes, but some that deviate too far from the original SMW values may not. Obsolete by the All-Inclusive Mario Physics Modifier with more customisability and easier modification, respectively. Description: Unused addreses are set to 55 (01010101) in most emulators. Since apparently this is a problem for people, this patch sets a customizable amount of unused addresses to 00 instead of 55. It will reset them every time the RESET routine is run. Obsolete by Clear/Initialize Unused RAM v2.0. 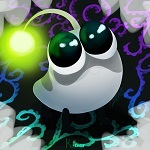 Description: 19 patches that changes some powerup related settings. It's... I don't know. The discription is midleading (it's old, I know, but still) since it's a simple collection of hex edits, specifically which powerup state allows you to shoot fireballs and which one to fly, whether you can float or not, what powerup do mushrooms give (but only mushroom) and even disabling spin jump (which has nothing to do with power ups). I guess, euh, no one would miss this patch. 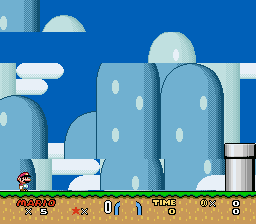 Description: This patch disallows Mario to do the ending march at the end of a horizontal level. This is a simple hex edit which is documented in both the ROM Map and the Hex Edits Repository. Description: This patch makes Mario shoot straight fireballs and fixes the bug where they fly up at odd angles if they hit a slope (which looks stupid). This will make them turn into a puff of smoke when hitting any solid object. It's a bunch of hex edits, all of them are documented in ROM map and in Hex Edits Repository. Description: This patch can set Mario's coins to a configurable amount (10 by default) on level load. Don't go beyond 99. Note to mods: I know this is something useless, but as it was requested by someone, please reject it only after he has downloaded it if necessary. Description: This changes the physics for Luigi (player 2), altering jump height and making the fireball shoot straight. It's simple, it's outdated and it has some glitches. 1. It doesn't takes freeze flag into account - physics still apply when game is frozen. For example, when taking a power-up or getting a hurt player may bounce slightly upwards, which is incorrect behavor. Blind Devil's floaty jump physics may suit better if you're looking for luigi's jump physics. 2. It's supposed to disable spinjump for Luigi, but it does so for Mario, and only when Luigi's a current character, meaning it has no effect. Even if it worked, it also disables X button presses, which I doubt is intentional (you can still use Y to shoot fireballs). 3. Straight fireballs go up the slopes, which looks janky, though it's not a huge problem. It's still recommended to use hex edits instead. This is my customized version of the Luigi jump patch. I like it this way because you can only jump higher when you are not running or pressing arrows. Thanks to Aiyo, Smallhacker, Ice Man and Makinaman or whoever else shared parts of this code. It's basically the same as previous rejected "Luigi Physics" patch, except physics are applied only when pressing A or B. pressing A or B and/or something else (like X or Y for running) won't work. Description states this, but I don't find it usefull in hack design. Description: This patch will make Mario's powerup display on the status bar (as S, B, F, or C.) in case some of your powerup GFX look the same, or something else. Some credit to Ice Man, who did find the addresses. 3) Poor code; several cycles could be saved by just using tables and indexing. Description: A patch that fixes a bug when Mario hits the Hurt and Animated Hurt Blocks from the sides. It's simple hex edits. Refer to this post to find them. Description: This patch makes every level on the OW walkable, including the ones not covered by the hex edit at $04:9291. It's a bunch of hex edits, posted here.